Propaganda is a tool used by governments to control the thought process and understanding of events through intentional manipulation. The goal of which is to frame the world in a view that will be beneficial to the ruling powers and their public policy goals. 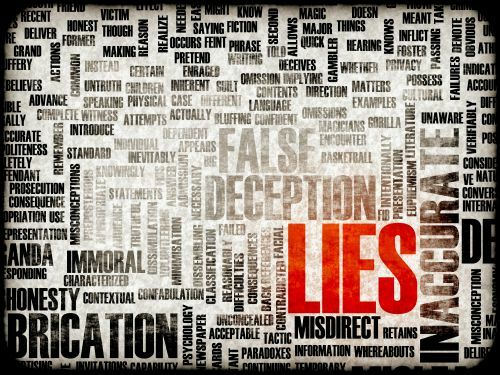 Americans typically don’t perceive that they are being propagandized, tending to often buy into the narrative that is sold to them by the corporate mainstream media, as they have been conditioned since a young age to believe that the U.S. has a “free press” that simply reports the truth as it happens – a dangerous stance that couldn’t be further from the actual truth. Freedoms of thought and expression are central to the western system of democracy – or so we are indoctrinated into believing. So to some, the idea that we live in an Orwellian reality – where what you see may be completely fallacious government propaganda – often causes a measure of cognitive dissonance. 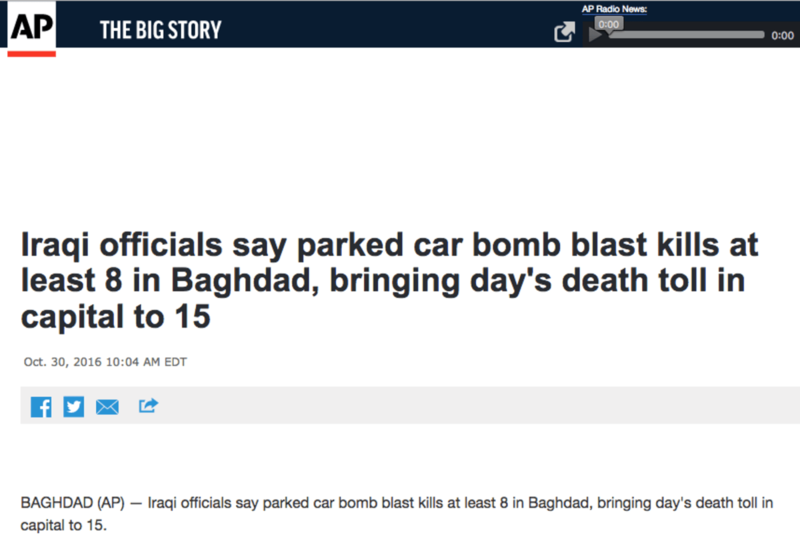 To highlight this hidden propaganda phenomena, the The New York Times, ABC, AP, Reuters, Dailymail, Global News, and other news organizations reported on a car bomb that exploded in Baghdad’s northwestern neighborhood of Hurriyah, killing at least 10 and wounding 34. Anyone reading and watching these supposedly reputable news organizations’ reports would clearly take the above information at face value, without ever questioning the validity of the events as described. The damning video below, reportedly captured on a security camera, clearly exposes exactly how far some will go to push their agenda, and narrative, onto the public in an effort to mold their perception and perspective. If you hadn’t just seen it with your own eyes would you believe it? Notice the crisis ACTORS, that run into position to feign death and injury from the car bomb! Essentially, what this video reveals is that U.S. mainstream corporate media has been weaponized as a means of controlling public opinion by propagandizing the American people. Noam Chomsky, in his book “Manufacturing Consent: The Political Economy of the Mass Media,” detailed how U.S. media frequently serve as an errand boy for U.S. corporate, military and imperial interests. So while the corporate media attempts to press the “fake news” agenda on Facebook, likely as a means of stifling dissent, they report their own fake news without anyone being the wiser and with no mention of censorship on Facebook. The fact that six mega-corporations own and control nearly 90 percent of the mass media in the U.S. is indicative of a system of control that works to maintain a highly repressive narrative. If you hadn’t seen this staged event with your own eyes, would you believe that it happened any differently than as reported in the nightly ‘news’? Please share this important story to help wake people up and expose them to the propaganda that controls their thought process and worldview!